It's almost Valentine's Day so I decided to get a head start on putting a little extra love in my kids' lunches. We also spent part of the weekend experimenting with some recipes so I thought I would add one of our experiments into the lunch. It's the Twisted Peanut Butter and Jelly Snacks that you see. The recipe video is coming soon. I'll include it in this post when it is done. Until then, hopefully this lunch can inspire you with a few ideas for your own kids' lunches! Ingredients: Twisted PB&J Snacks (see recipe video above), mozzarella and cheddar cheese slices, apple, mandarin orange, Valentine's Lunchbox Love notes, Easy Lunch Boxes Container. 1. Make Twisted PB&J Snacks using recipe video above. Place in main compartment. 2. Use small heart cookie cutter on cheese slices. 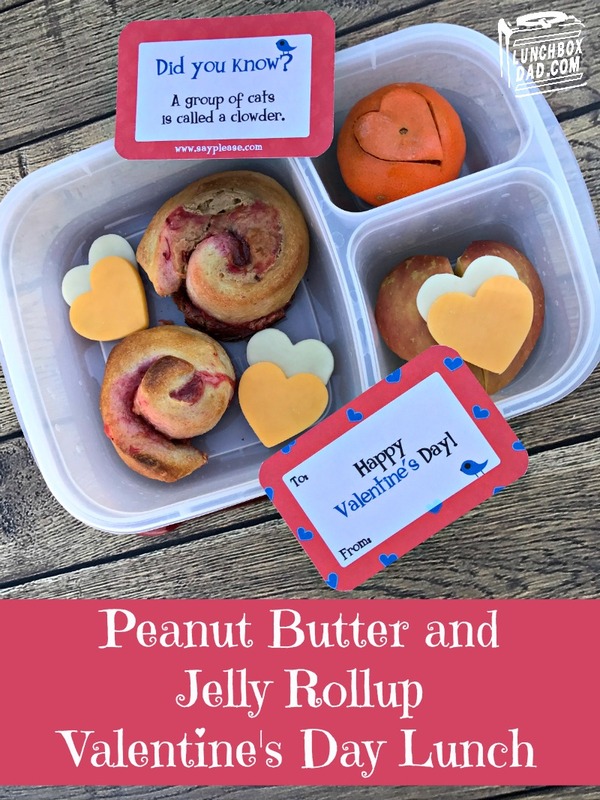 Arrange cheese hearts around PB&J snacks. 3. Cut two apple slices into half a heart each. 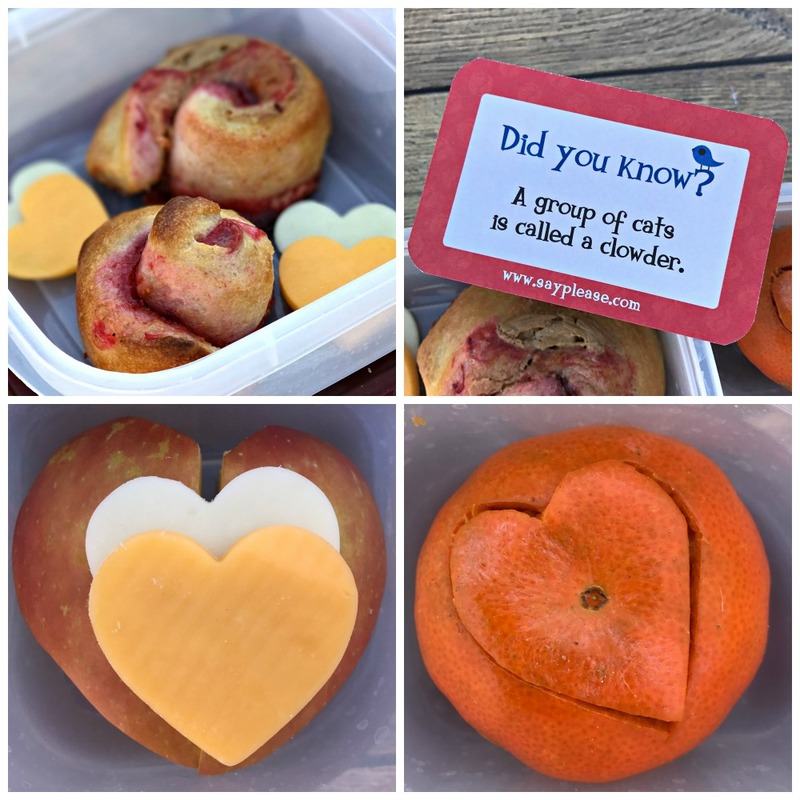 Place together in a side compartment and put two more cheese hearts on top of the apple. 4. Make shallow cuts, in the shape of a heart, into the bottom of a mandarin orange. Slightly lift peel. Place in side compartment. 5. 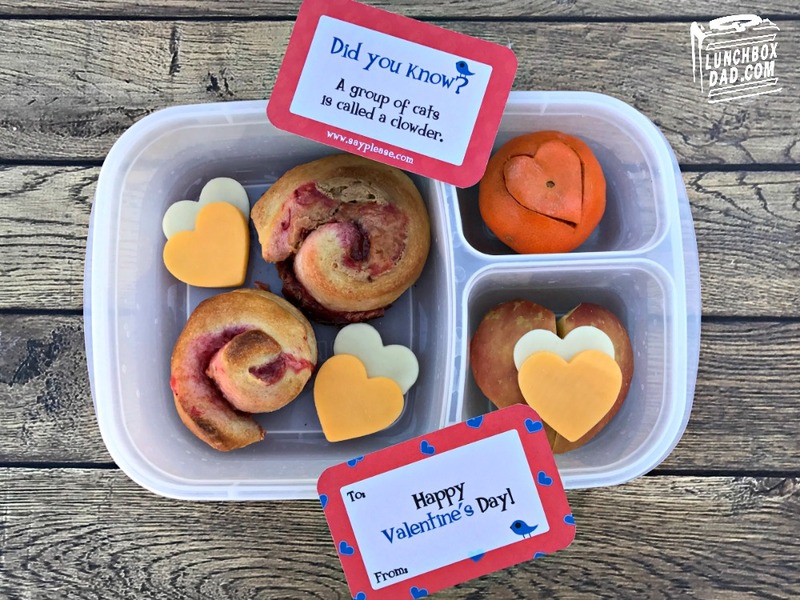 Include Valentine's Lunchbox Love notes. My kids love these things!